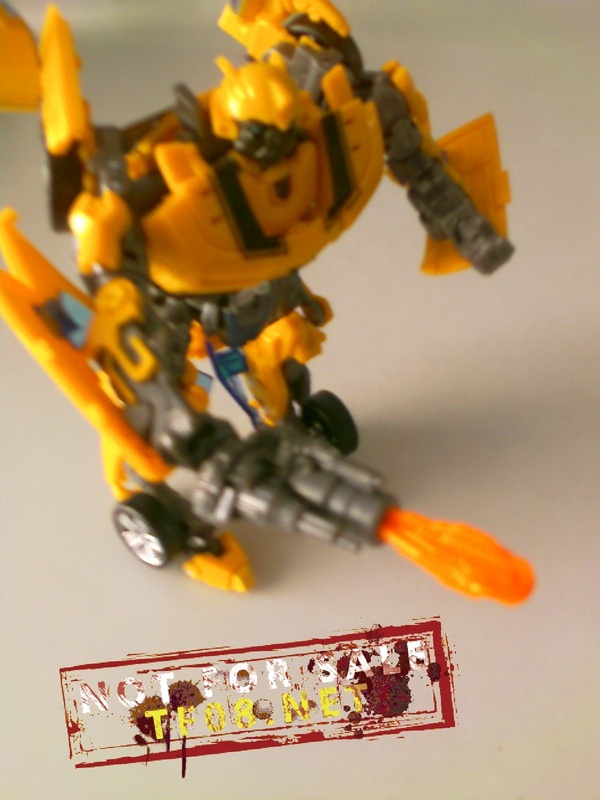 Our own S250 has shared with us photos from tf08.net of another upcoming Transformers 2 toy. 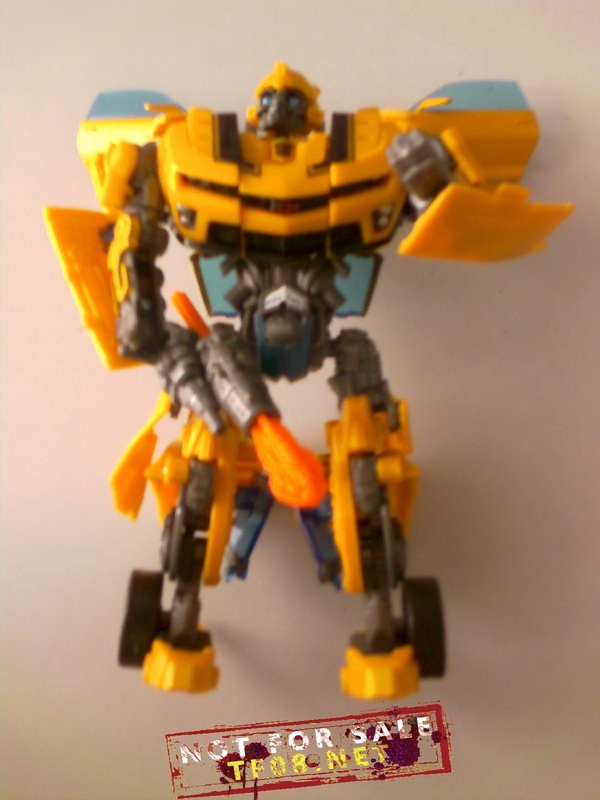 This one is a remold of the highly-desired deluxe Bumblebee from the first film. Sharp-eyed fans can see the head and front bumper are remolded and the weapon is new. but nobody take any notice from FAB-BB in the thread, so her eis the right place for posting this without opening new thread.7, so where's the problem? I don't see a problem. Besides this is a Bumblebee thread, an image of Bumblebee is easily overlooked in a Jolt thread. I know, I was pointing out that there is already a thread about those pictures. He was referring to the FAB Bumblebee shown on Jolt's packaging. We don't know for sure if they will do a Premium series again. I think Hasbro is well aware that they pissed tons of fans by doing that for the first movie. And the so-called Premium figures didn't even look that much better or accurate. They should stick to completely different redecos like they've always done in the past. Maybe it is better to wait for the Premium Series version. Dude, the halves of the cannon snap in place, it's not spring loaded. I passed on this guy (and his repaints) because his cannon "becomes an energy sword!" and didn't want it popping open all the time. I like the new head mold and the weapon…the updated Camaro seems to have a bit of an eviler-tone to it if you ask me. I passed on this guy (and his repaints) because his cannon "becomes an energy sword!" and didn't want it popping open all the time. And I already have the Classic Camaro BB. Also…am I the only one who noticed in the front page News that the article is called "Bumblebee Deluxe Remold Return Of The Fallen Toy"
I'm with the front page majority. Looks nice. Very nice. Think I'm happy with what I have, though. Hope this movie continues to save me money. four toys from the first movie any way. I liked the old weapon better, i thought the little knife-thing was pretty cool, so this is a pass for me. Nice, but I have enough of this mold already, awesome as it is, and a slight remold to make him the most up-to-date car model isn't worth another purchase for me. Remold or not, I already have four versions of the mold from the first movie line. If this is how they're going to do most of the returning characters, that's great news for my wallet! I cant see any difference. 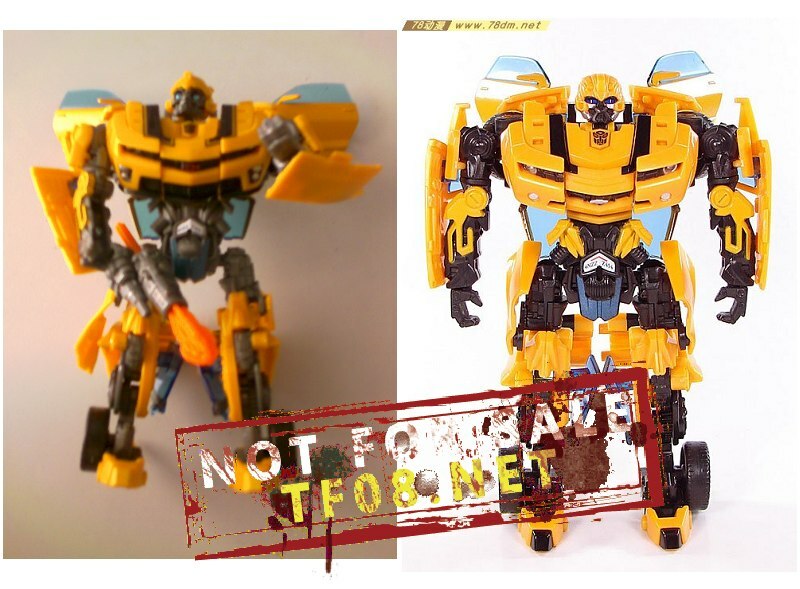 I'm just gonna keep the TF1 version of Bumblebee anyways to save money…..unless they added something huge to it. I never picked the original figure up, and I may do so now when this comes out. I really like the re-molded parts; New more movie accurate Head, Z-28 Deco, and new weapon.